How Does Roy Fares Do It? At first glance, you’d swear Roy Fares was a native-born Californian! His joie de vivre literally jumps right off the colorful pages of his new cookbook, United States of Cakes, as he travels around SoCal highlighting bakeries and fabulous recipes. Roy is a Swede who was born in Lebanon and an accomplished baker from a very young age. 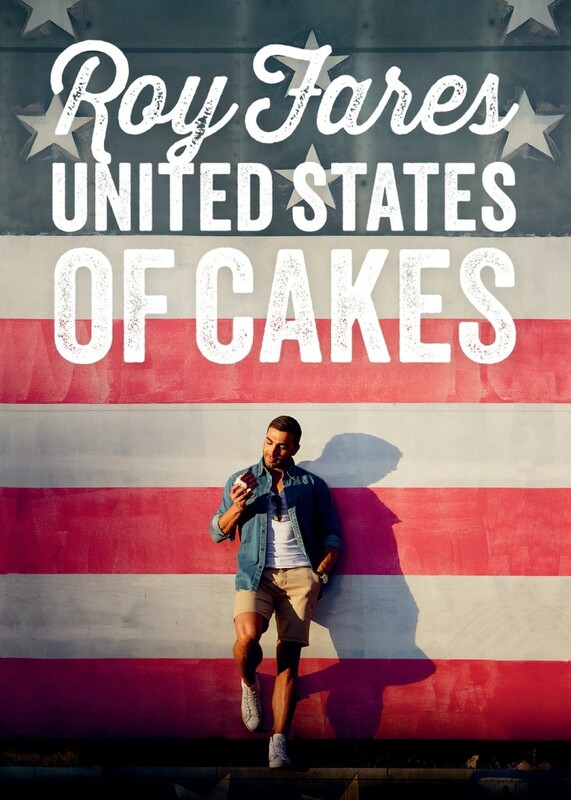 United States of Cakes not only features Roy’s interpretation of dozens of American desserts it’s full of gorgeous photos. 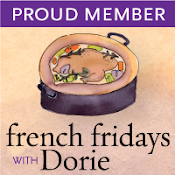 I was thrilled to receive a review copy from Skyhorse Publishing because, you know I love to bake. You can read all about his award-winning career on his website which is written in Swedish and English. If you’re a home baker, or hoping to become one, you’ll love this book. His directions are easy to follow and the results are amazing which also makes it a perfect gift for anyone who enjoys baking. These cupcakes baked up perfectly and taste amazing! Preheat the oven to 350 degrees Fahrenheit (170 degrees Celsius), convection function. 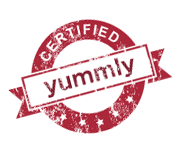 Place the cupcake wrappers in a cupcake pan or use two wrappers at a time on a regular sheet. Mix the dry ingredients in a stand mixer using the beater blade attachment, or use an electric beater and bowl. Add the butter and mix for a minute. Stir in the sour cream, vanilla extract, and eggs and work together to make a smooth and fine batter. Fill the wrappers just about three-quarters with the batter and bake in the middle of the oven for about 18 minutes. Use a toothpick to test that the cupcakes are baked through. Whisk together the butter and cream cheese with electric mixer in a bowl, scraping the sides with a spatula in between. Add the powdered sugar, vanilla extract, and cinnamon and whisk for a minute on low speed. Then whisk again at maximum speed until the frosting feels nice and solid. 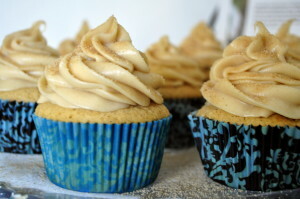 Pipe frosting on each cupcake and sprinkle sugar and cinnamon over them. I always keep a shaker full of Cinnamon Sugar on-hand. I have a confession to make. This is the first time I’ve ever used the convection setting on my oven! I loved it. with continuous air-flow, my cupcakes baked up perfectly and evenly. Wow, and these cupcakes should be called “The Mysterious Disappearing Cupcakes.” John and I each ate two as soon as I frosted them. 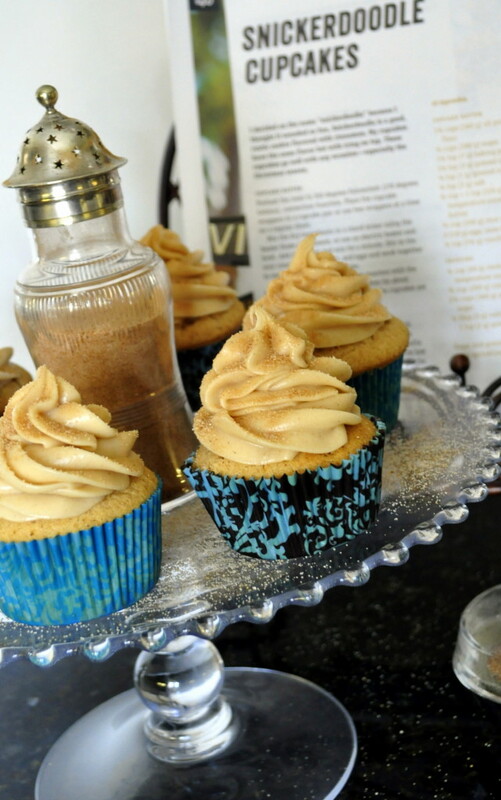 We love cinnamon, so these were an easy first choice from to make from Roy’s book. But, the truth is, I’d love to bake my way through all of his recipes. Sour cream keeps these cupcakes moist while cream cheese adds an extra dimension of flavor to the frosting. The cinnamon comes at you in three layers – the cake, the frosting, and the cinnamon sugar sprinkled on top. 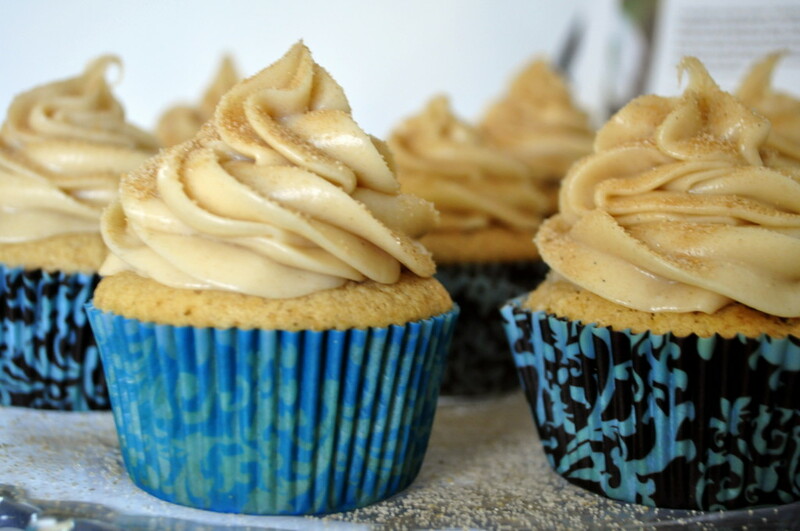 These cupcakes are as delicious as they are addictive! You will definitely want to add this book to your baking library! Wish I could have been there to eat two of those babies with you. They look delicious, Susan, and beautiful, as well. Your write-up encourages those of us you aren’t, to become bakers. In the spirit of full disclosure, I’ve never used the convection oven on my oven either. Thanks to you, Susan, I won’t have much more room left on my library shelves! You are reviewing such wonderful books! Looks just wonderful!